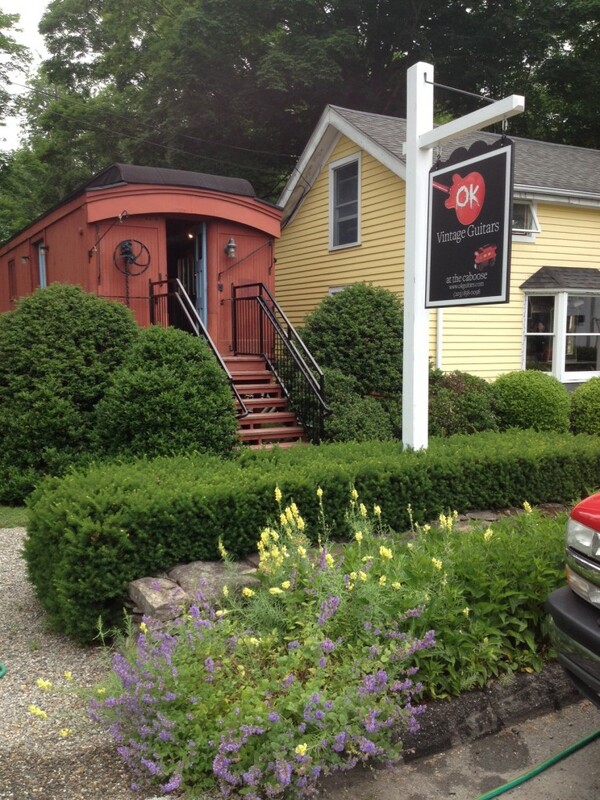 This is the home of OK Guitars in Kent, CT. Yes, it’s an old train car. 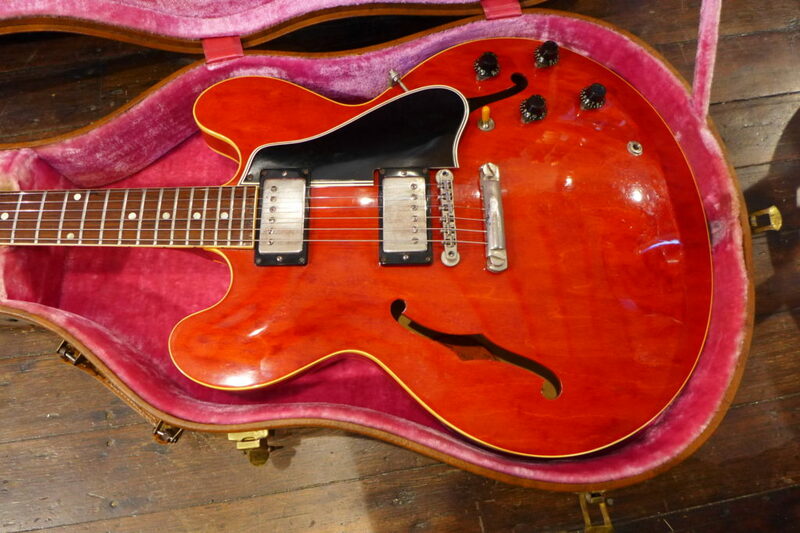 All of the guitars in the “For Sale” section are in my possession unless I mention otherwise. They are not all my guitars. Some may be consignments. All of them have been set up by me and played by me to make certain they are everything I say they are. You are entitled to a 48 hour approval period. 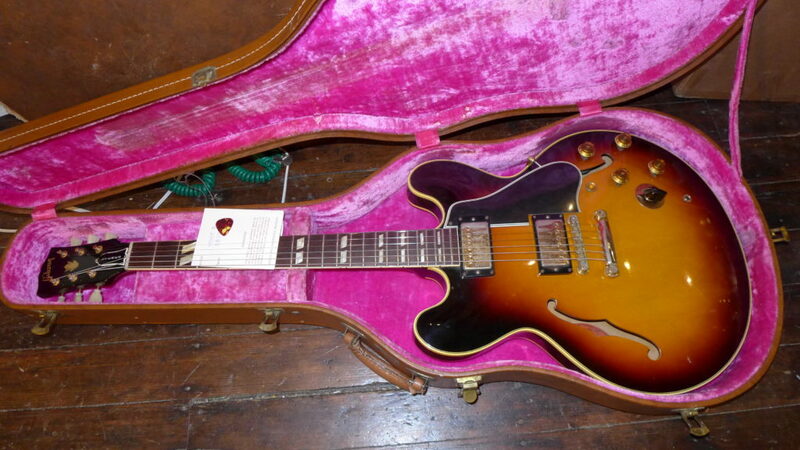 Buyer pays return shipping and will be charged for the initial shipping if it was free if the guitar is as described. If you just don’t “bond” with it, that’s a legitimate reason to return it but you will be responsible for its safe return to me. It must be shipped back by the same method you received it and must be fully insured. 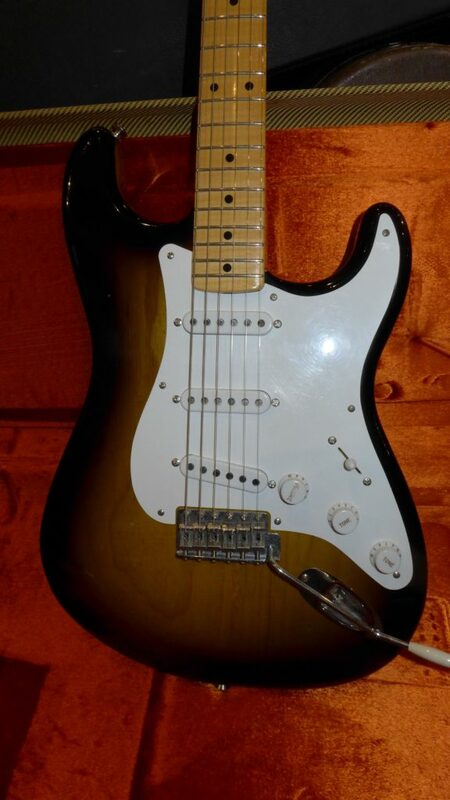 All parts are photographed before shipping and parts that are missing or changed on a guitar that has been returned will be charged to the buyer. It’s not pretty but it happens. Fortunately, it rarely happens. You can also find me on Gbase and Reverb.com. My dealer name is OK Guitars. You can pay using Paypal, credit card, check, cash and bank wire. 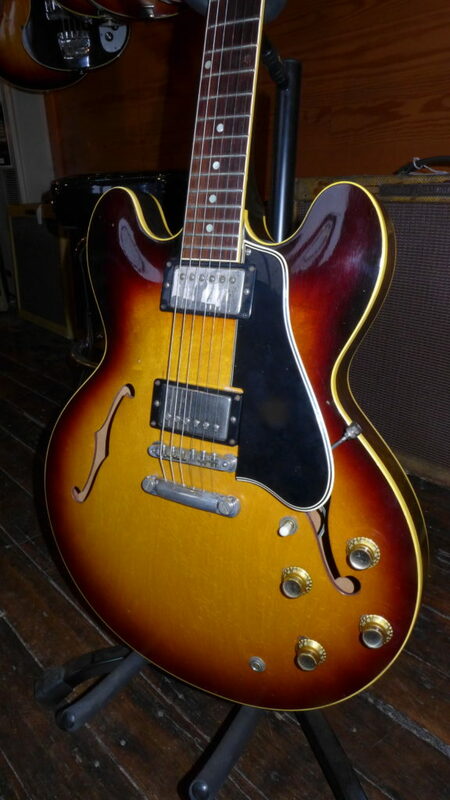 I will hold any guitar as a courtesy for 24 hours without a deposit. Just call or email me and let me know you’re interested. This isn’t the entire inventory. 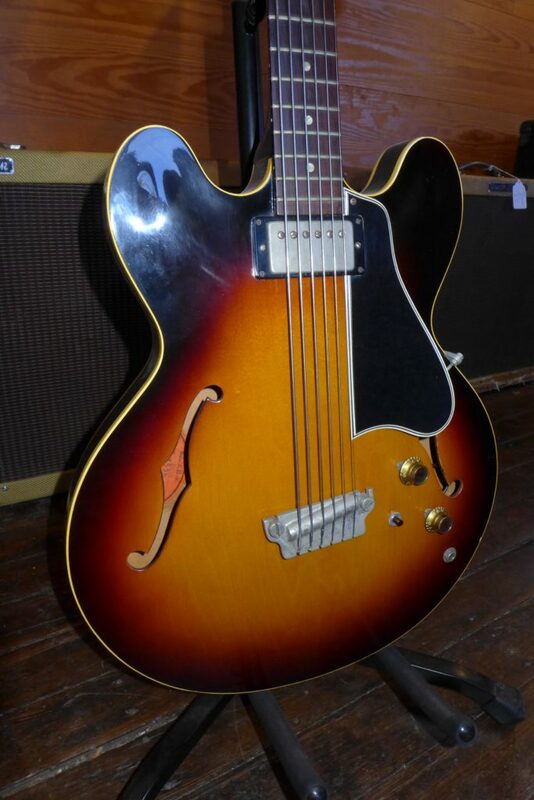 Check Gbase for more guitars. Amps and parts are on a separate page on this site. Always check Gbase-I usually update that first when I get something new and there are more photos. Set of 82/83 Korinas. The Explorer is a factory Prototype with a letter signed by Tim Shaw and is NOS. The Moderne is also NOS. Both still have the plastic on the control plates and guard. 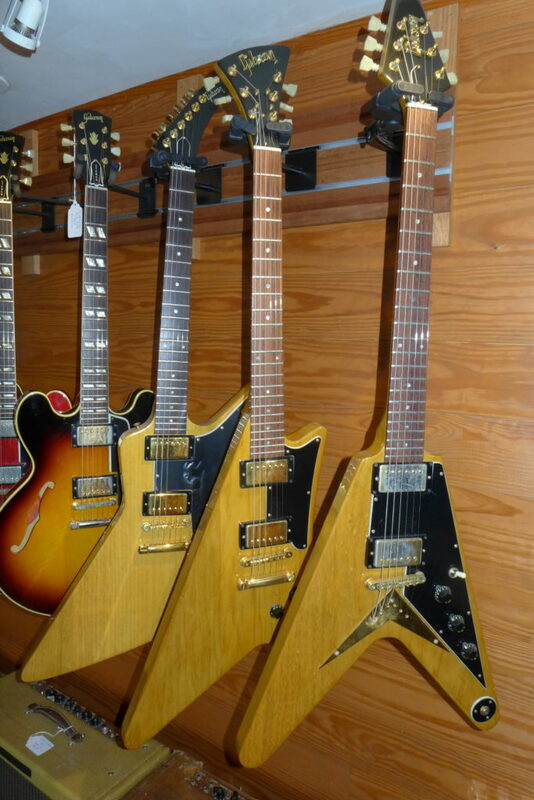 The Flying V has been played but is near mint but for some wear to the gold parts. I would prefer to sell these as a set but I will split them up. Call or email. When did 59’s get so hard to find? This clean mid year has a big neck, PAFs and is all original except for a stunningly good fret job by Norio Imai-The best fret guy in New York. 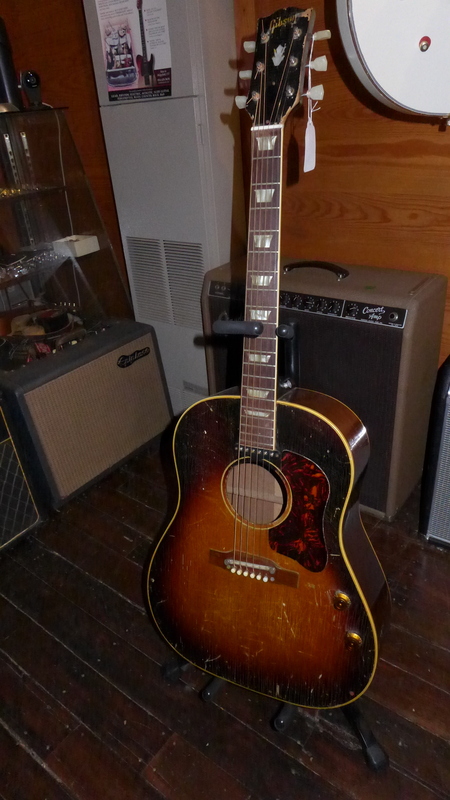 Repro tuners on the guitar but the originals are in the case (need tips). Great player. 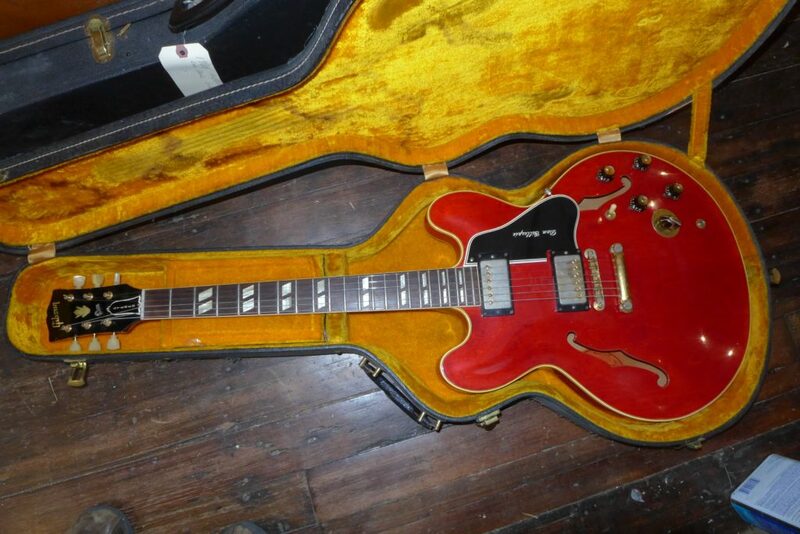 How is it I’ve been selling 335’s for all these years and never had an EB-2? 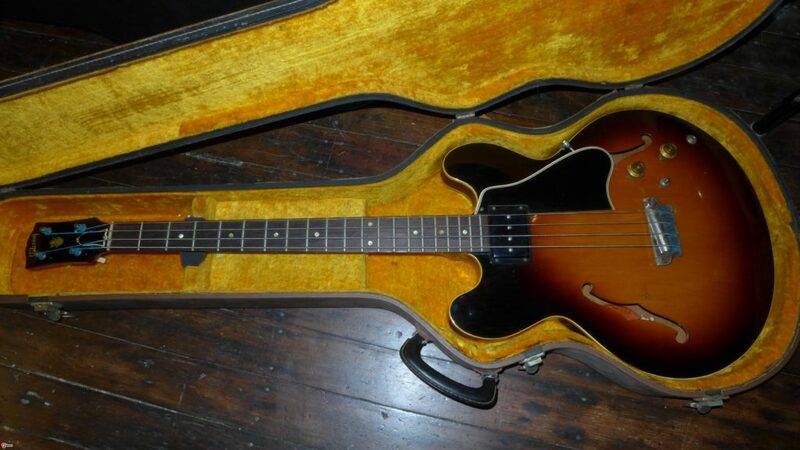 It is, after, a 335 is a bass costume. 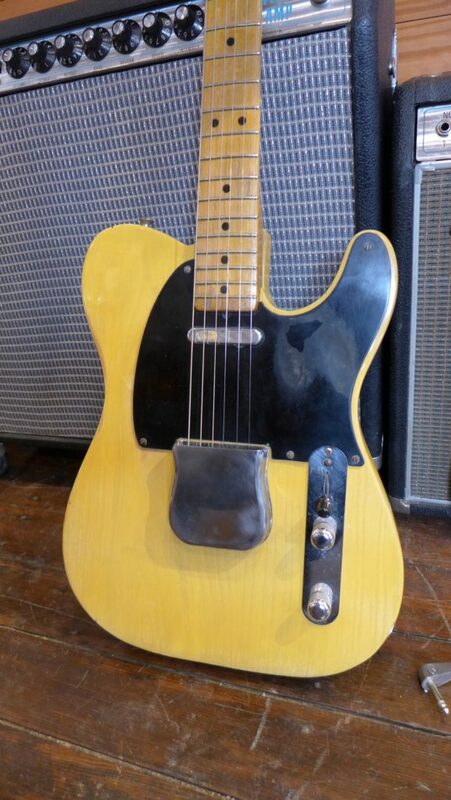 It’s got that big, bad mud bucker that sounds like no other pickup on earth (or any other planet). This is a 59 and is all original except for three tuner tips. $5500. Depending on where you are in Westchester, it’s around an hour drive. I-684 to Rt 22 to Rt 55 to Rt 7. 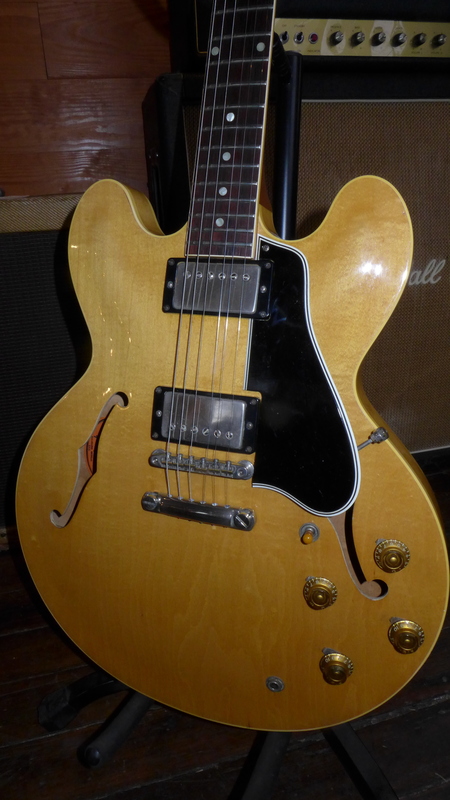 Hey, I stumbled in your website looking for ES-335 dimensions but I didn’t find what I was looking for. On one hand, I have to admit that since this is a free country anyone can do anything they please as long as they are not breaking the law, of course. 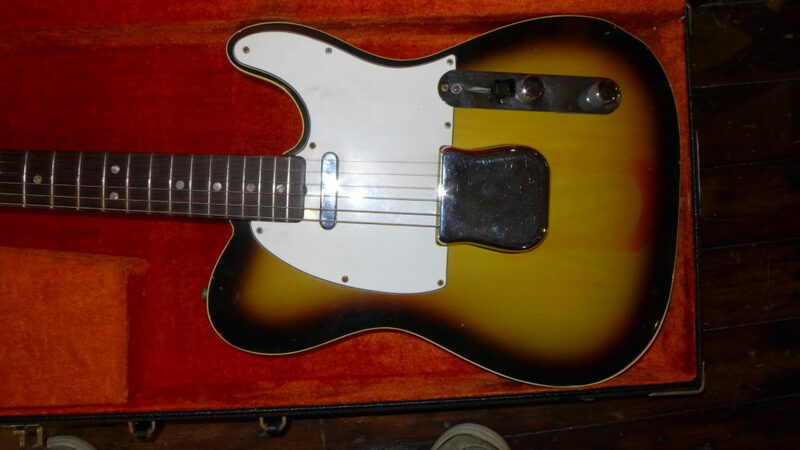 Still, I can’t help making a comment that asking $22,000 for an electric guitar with wear markings, scratches, possibly some replaced parts and even a part of the pick guard broken (but still in the case, ha-ha) is -basically- what’s fundamentally wrong with how America has changed (nfor the worse) during the past few decades. I always thought the vintage market is full of (you know what). It’s mostly hype and very little essence. This site is yet another example positively reinforcing my belief that I am on the right path. 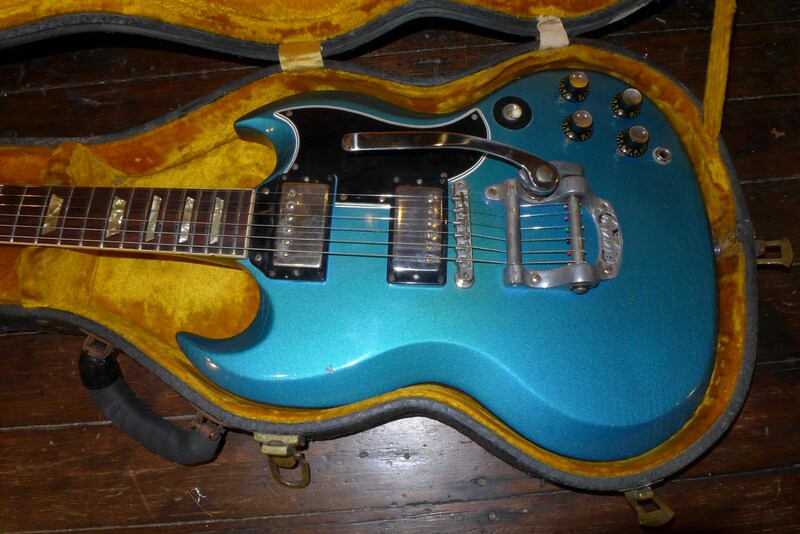 I always though Gibson guitars were nicely made but still way overpriced. Now that I saw your prices, well, I had to reconsider. Nevertheless, I wish you do well with your business, still I’m glad I’ll never be your customer. Hi Charlie, David from OZ here. Thanks for all your kind help and expertise regarding my new toy which arrived today. It has been a great pleasure to deal with you and I should think we will do so again in the not to distant future. Kind regards, David. Hi Charlie! Thanks for your help with the 64 Cherry 335. Every time I play it I’m blown away by the tone from those patent #s. This guitar has a bit of that “magic”. Do the nut widths vary within that year? 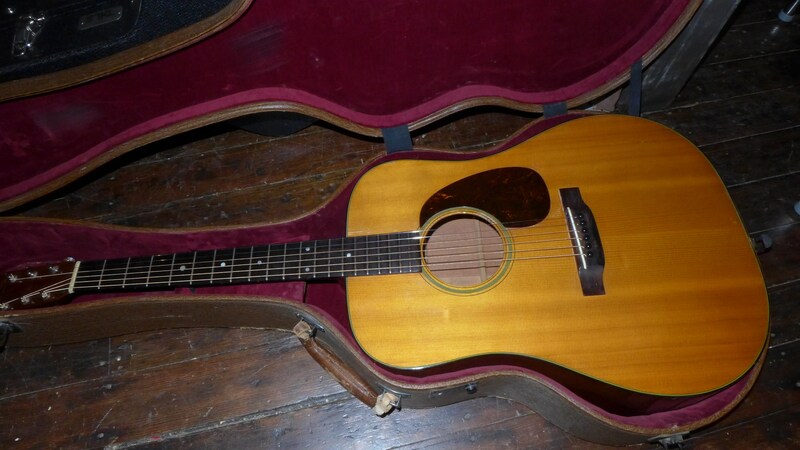 Mine is 1 5/8″, but I have found it to be comfortable after I play it for a few minutes. I think my muscle memory must be set to 1 11/16″ or so and it is amazing to me that I can even feel that sixteenth. 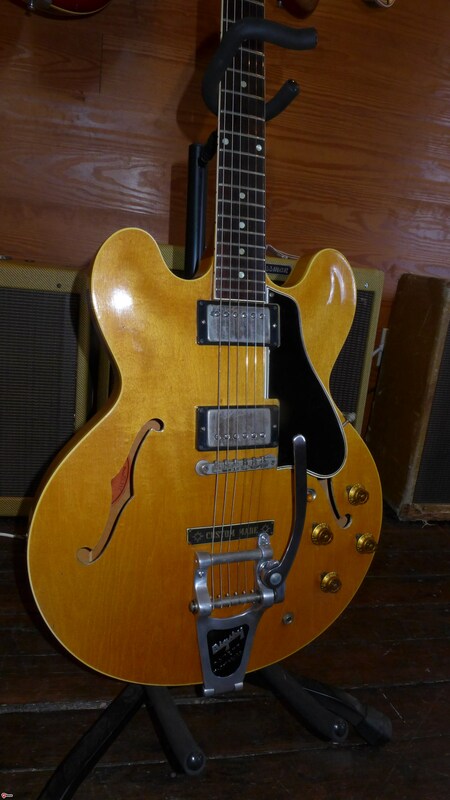 Thank you for responding to my query last night regarding the “58” 335 on Reverb. Not one of your listings. I feel like a dillweed that I did not see the “reissue” in the description. Then again – I think some sellers attempt to play that down. Don’t feel bad. I miss stuff like that all the time. That’s the reason I have them now that I’m old. I was too poor too buy one in the 60’s. If I could have afforded one back then, I might not have so many now. Look for one from 66-68. Anything earlier will be beyond your budget unless it has some issues. is the 61 es335 player grade still available? 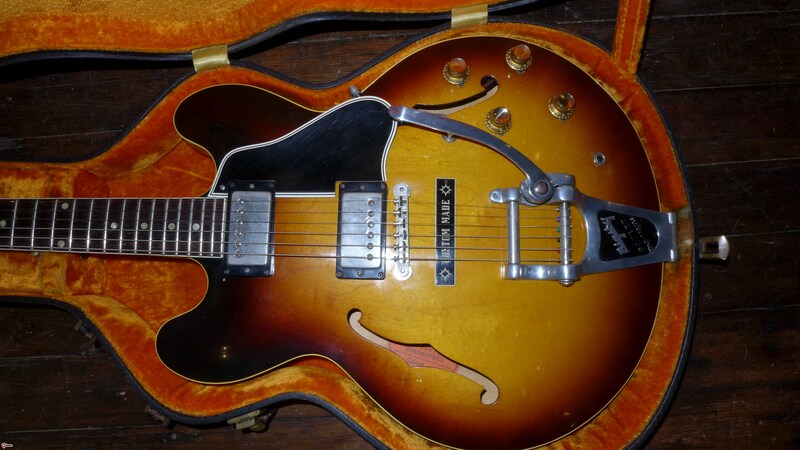 regarding the 61 gretsch, I would have to say the 58 & 59 are the magic years for the 6120, That said, every guitar has to be judged on it’s own merits and it could well be that the 61 shown here is just such a guitar. Some people can’t live without the full thickness body, theres like the thinner style. At any rate I think the one shown is a bargain. As much as I love the ES Series I would argue that the early Filtertrons are some of the finest sounding pickups ever to grace a guitar. 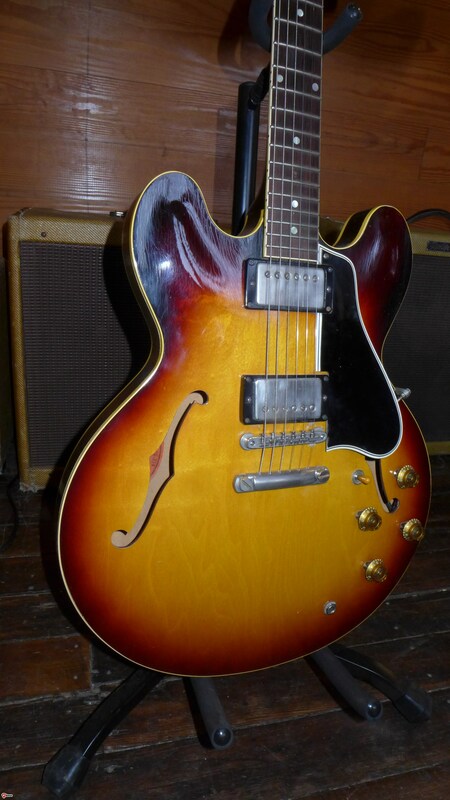 I don’t think there are any “magic” years for any guitar. Everybody thinks 59 is the pinnacle for 335’s but I’ve played average 59’s and stunningly good 65’s. I don’t play enough 6120’s to know much but the 61 I had was the best I’ve ever played. Perhaps if I had the opportunity to play more of them, I would agree with you but I can only write what I know. Send me an email at okguitars@gmail.com. Trades are welcome if they are vintage. 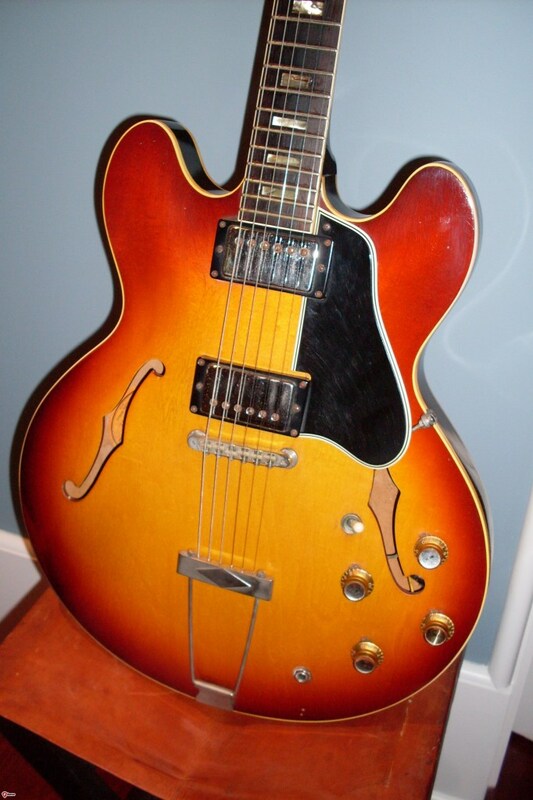 I came across your website and I was hoping that you might be willing to offer an opinion as you seem to have a good deal of expertise about ES guitars. I have been thinking about buying one. Actually that isn’t quite true. I want to buy one but I am going to have to convince my wife we can afford it! 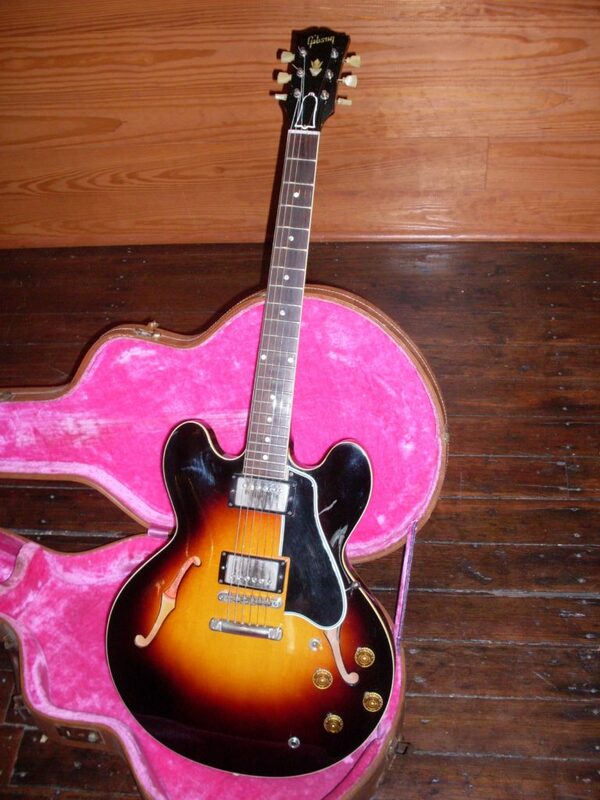 If I had the money I would obviously want a vintage model but they are way out of my price range. I have been poking around on the internet and I have seen a few that look interesting and affordable. One in particular was made in 2005 while another one was made in 2015. 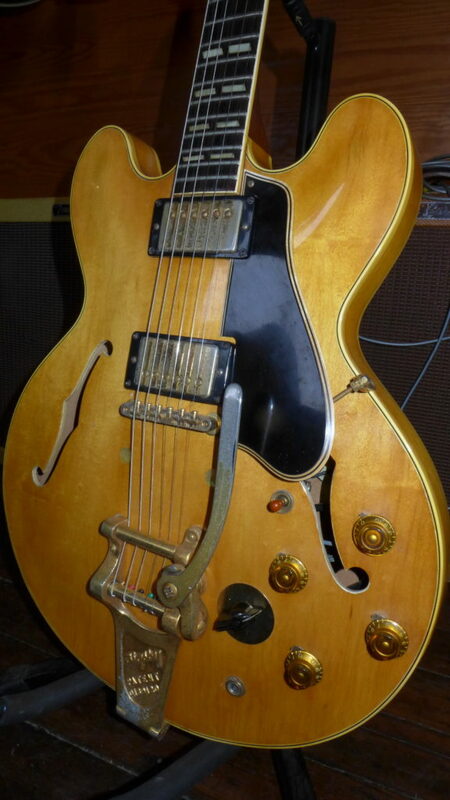 Given all of the troubles Gibson has been having would you recommend avoiding instruments from this era? Or in your opinion are they reasonably good quality? Oh, and unfortunately I live in small town USA and there isn’t a reasonable guitar store within 100 miles so it is kind of hard to shop or get a chance to see a new one. For what it is worth my price range is under $3000 so I don’t have a lot to work with. Thanks for any advice you would be kind enough to share. 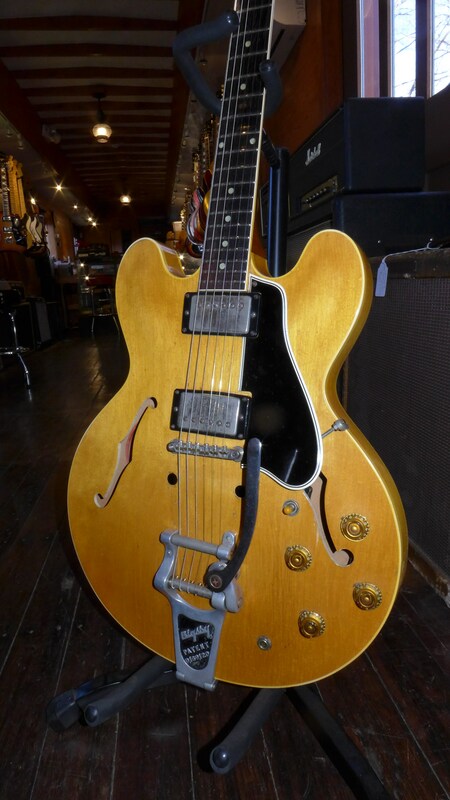 I would recommend either a 2000-2009 Nashville built Historic or a very recent 2014-2018 Memphis built reissue. They can be all over the place so buy something with a return policy. Great website – obviously a labor of love. Learn something new about the 335 family every time I visit. Keep up the quality work in 2019!